The REACT Professional Pet Upright Vacuum with FloorSense Technology automatically reacts to your floor type for a New Generation of Clean. This full-size high-capacity vacuum is perfect for pet owners and is complimented with the tools you need for a whole home clean. If you have pets and carpet/rugs & hardwood or vinyl floor THIS is the vacuum to buy! Smart Sense technology it runs seamlessly from carpet to hardwood to vinyl with no loss of suction! I have 3 PUGS & 2 cats who shed everyday, on everything and spending $360 a year on Swiffer pads, this unit pays for itself!! Clean edge, easy empty, HEPA filter, no “blow out” of hair or debris and extra long wand & hand accessories. 5 ⭐️s and 100% recommend this particular vacuum if you have furry family!! Have used my new vacuum.for about a month now and really love it. I am a fanatic about keeping my home clean, but since buying this I have found dirt I did not even know was there. My house has never been cleaner. It is easy to use, move about and i love that it is bagless. I have cats and.am amazed how much cleaner my home is, even my older carpet looks better. I bought this vac to.replace an older Hoover which still worked, but I love the new tech in the newer model, like sensing hard floor surfaces and carpet.and automatically adjusting for the surface and the swivel.head. Excellent Vacuum and it's Quiet too! I LOVE this new Hoover React! It does an excellent job cleaning and it's very quiet. I never realized how easy and fun vacuuming could be until this Hoover! The phone app is very helpful and it's nice a company has finally brought vacuums into the current (phone app assisted) world of technology. I cleaned my house with my "D" brand expensive bagless upright that is only a year old, then I cleaned the same areas with this Hoover React.. I filled the canister to the fill line. I was shocked and also made I wasted almost three times the cost of this Hoover on the other brand. This Hoover is very easy to empty too and no mess or fuss.. just pop open the bottom door and all the dirt and dust goes right into the trash can. I'm very impressed with the quality too, this Hoover is built well and feels very sturdy. I know it's not an important feature, but I love the denim blue color scheme of this vacuum too. The dusting brush is super soft and the crevice tool is a perfect shape to get in all my corners and furniture crevices. I love that this Hoover has a suction control valve on the handle as my soft Dining Room carpet was impossible to clean with other vacuums that you couldn't relieve some suction. I can't say enough about this Hoover other than I highly recommend it and am glad I bought it. (This was NOT a gift, I purchased it and my review is unbiased and my honest opinion) I ordered it here at Walmart.com and it's the best price you'll find. Thanks Walmart, Thanks Hoover!! 1 BIG DOG, 2 Cats. My Dyson VS Hoover! My DYSON is a DYSON ANIMAL UPRIGHT which was about $400.00. It cleans, but it doesnt "CLEAN". I decided to give this New Hoover a shot. Here is how i did the comparison. I vacuumed everything with a minimum of FOUR PASSES with my Dyson...then i went over it with the new "HOOVER REACT PROFESSIONAL PET" ...( just a single pass everywhere) i shouldn't have gotten much, right?...but WOW...i am almost embarrassed to post this picture. The HOOVER picked up dirt, hair and dust like my house hadn't been vacuumed in a year! I was shocked and amazed at how much it picked up. Additional notes: You know how things felt when we were young (im 50 years old now)...things felt heavy duty, the felt solid...not light weight and plastic like nowadays. Well, this Hoover feels SOLID...if you're looking for an ultra-light weight vacuum, this isnt it. 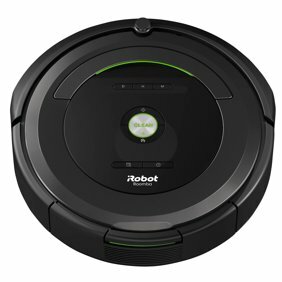 BUT, if you want a solid vacuum that feel sturdy and vacuums like crazy...this might be the one for you. The turning radius is good. It was easy to use right out of the box...i never even read the instructions. I just clicked the handle in placed and plugged it in. Cleaning it up after was nothing more then removing the canister, dumping out the contents and wiping it off. I paid $178 for it and its would be a bargain if it was $50 more! This review is based on a single use, right out of the box. I hope this holds up for the long run! We'll see. Happy Vacuuming!! I bought about a month ago, after giving youngest daughter my 1st REACT, so decided to get the professional pet. Love it. I could not believe how much dirt and dust I picked up, not only with the initial vacuuming job, but each one thereafter. I highly recommend this vacuum! Pretty good but wish I had my old Hoover back! (I had a UH30010RM, with Hepa Q bags for years, and I loved it! Then one day I accidentally vacuumed up something really stinky from one of my pets, and did not fancy cleaning the entire vacuum. This looked like a good replacement, although I actually thought it used bags, which I find convenient. Seems bagged vacuums are getting hard to find.) This vacuum has great suction power, and it is nice to see what you vacuum up, in case you vacuum up some jewelry. I used to change the bag on my old Hoover once every 4-5 vacuumings, now I empty the cannister 4-5 times each session. That's a drag. Instead of dumping the contents into a garbage can, I vacuum out the small cannister with my shop vac, so I don't have to go outside to empty it. Quite a production. Then I also vacuum the filter with my shopvac. This vacuum is pretty sensitive about getting string around the roller brush. Maybe that is a good thing. I wish there was a latch you could push with your foot to recline the upright part, instead of having to put your foot on it and then pull up. The whole computer dealy to tell the vacuum when it is on carpet or on hard floor seems unnecessary to me. Does anyone really use an upright to vacuum all of their hard floors? I never have, as they never get into the corners, so you have to use something else there anyway. Overall, it works fine, but actually my old vacuum got up a lot more pet hair, so I wish they would bring back the bagged UH30010RM. Hi Mrsfluffy! We appreciate the time you took to review your REACT! We strive to provide the best products possible for our consumers. If further assistance is needed, please feel free to reach out to us on Facebook or Tweet us @HooverUSA. We're here for you!